It is claimed that there was also such a text above the entrance to Tutankhamun’s tomb that described such a curse. This text would have been: “The one who interferes with the Pharaoh’s sleep will be affected by the Wings of Death.” No evidence for this text has ever been found in Tutankhamun’s tomb, although there are other tombs with similar warnings to scare tomb robbers. 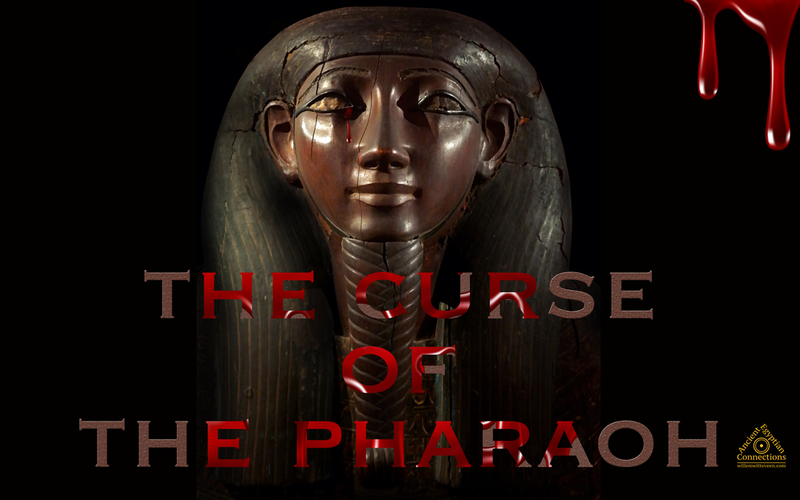 Such a Curse of the Pharaoh emphasises the mysticism of Ancient Egypt and was gratefully adopted by the media to stimulate the sale of newspapers and magazines. The film industry also contributed and did and does its bit in maintaining such a myth. The most famous story about the alleged Curse of the Pharaoh is indeed that of the expedition led by Howard Carter to the tomb of Pharaoh Tutankhamun. Twenty-two people who were involved in the excavation of Tutankhamun’s tomb died a premature death of which thirteen were present at the first opening of the tomb in 1922. Among them was the expedition’s financer Lord Carnarvon who became very ill six weeks after the opening of the tomb and died after falling into a coma. On the very day of his death, all lights went out in Cairo and legend tells that his dog, who was at his home in England, started to howl and died at the same time as his boss. Research has shown that Carnarvon probably died of blood poisoning caused by cutting open a mosquito bite while shaving but there is still a lot of speculation about the true cause of his death. It is also claimed that he was poisoned because after his death his stomach was removed in the Cairo Hospital to prevent the burden of proof of possible poisoning. Howard Carter, the archaeologist who actually opened Tutankhamun’s tomb and worked inside the tomb for a long period of time was obviously not affected by “The Curse” as he died of entirely natural causes at an age of 64. It is claimed that Carter was “energetically protected” by wearing a 5000-year-old Egyptian stone ring with inscriptions. Nowadays this ring is known as the “Atlantis Ring” and is said to have been discovered in 1860 by a French Egyptologist during excavations in the Valley of the Kings near modern Luxor. Although the Curse of the Pharaoh is outdated and may have nothing to do with magic, research shows that tombs and spaces that have long been sealed off from the outside air may contain dangerously high concentrations of bacteria and fungi, such as Aspergillus niger and Aspergillus flavus. It is now well-known that infections by fungi can cause a wide variety of respiratory diseases in humans, known as Aspergillosis. Nowadays, the term “Curse of the Pharaoh” is also used for the short and intense abdominal cramps and diarrhea that affects many tourists visiting Egypt as a result of the climate change and the local food that people are not used to. The wooden boats were usually buried in deep rectangular spaces or pits and consisted of multiple building packages which were placed inside the pit and after which the pit was covered with heavy stone beams. Such space and ceremonial Solar Boat can be seen in the Boat Museum on the Giza Plateau just south of the Great Pyramid. 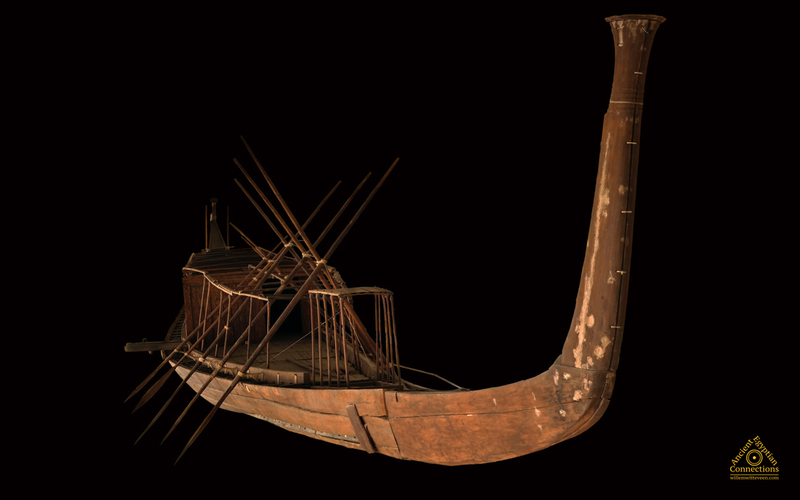 In this museum, you will immediately notice that the wood of the 4500-year-old boat is in perfect condition, which is attributed to the underground airtight packaging of the 1223 pieces that made up this boat. But to what extent is airtight sealing a guarantee for the state of wood of thousands of years old? And yet there is something else that can cause sickness among people after opening and staying for a longer period of time in tombs that are first entered after many centuries. 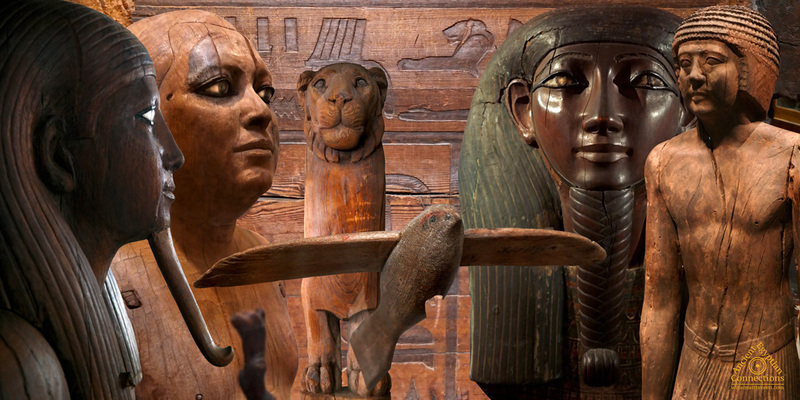 This mainly applies to ancient Egyptian tombs and places in which wooden artifacts or wooden objects such as ceremonial boats were buried together with the deceased or separately to be of service in the afterlife. The wood had to be protected for a very long time against wood-destroying and wood-eating pests, usually in the form of harmful insects like carpenter ants, termites, and beetles that managed to gain access to the tombs and wooden boats. The species and amount of harmful pests were directly related to the then prevailing climate, landscape, and vegetation, but also the influence of the area of inundation of the Nile River for the locations concerned. Humidity played an important role in the process of conserving wood. Both the excavated and reconstructed wooden boats, as well as all wooden artifacts from excavated tombs that can be seen in various museums around the world, are in more than perfect condition after being buried for 4,000 years or even longer. Not at all affected by pests but sometimes damaged by cracks as a result of short-term changes in humidity and/or temperature, which was mostly the result of ignorance with respect to the ideal value of relative humidity belonging to the wood of the specific object. Logically, there had to be something inside the tomb or boat pit to protect the wood against external influences. To protect the precious wood against pests, one or more natural radioactive stones or radioactive minerals were buried along in the tomb or with the boat packages to ensure that the wood would not be affected as these pests would not survive the exposure to a low dose of gamma radiation. 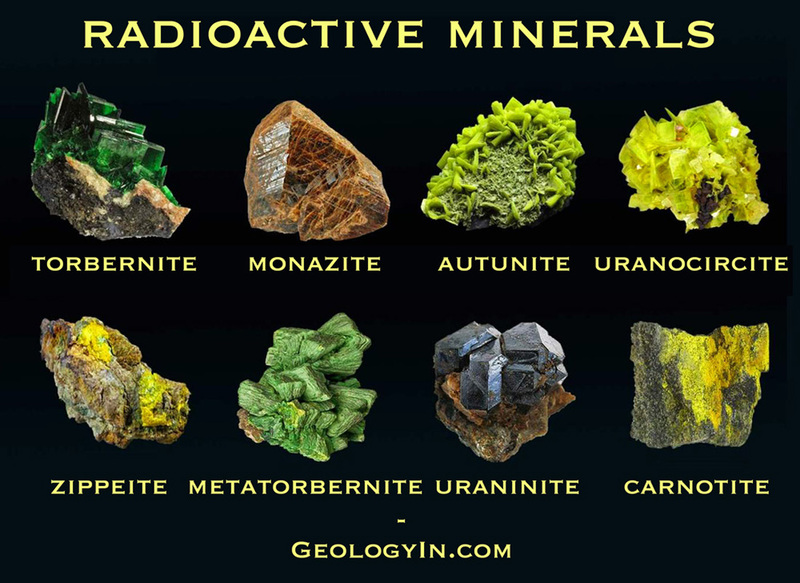 Natural radioactive stones and radioactive minerals can be found worldwide and are sometimes classified as highly radioactive! The harmful gamma radiation of these special stones and minerals can also have a negative impact on people’s health and certainly after prolonged exposure during the excavation of a newly discovered tomb. Possible symptoms of mild radiation sickness include nausea and vomiting, diarrhea and headache. Such a radioactive stone in a tomb often does not stand out due to its ordinary light brown colour and normal shape and radiation emitted by this stone cannot be detected without the use of a professional Geiger counter. 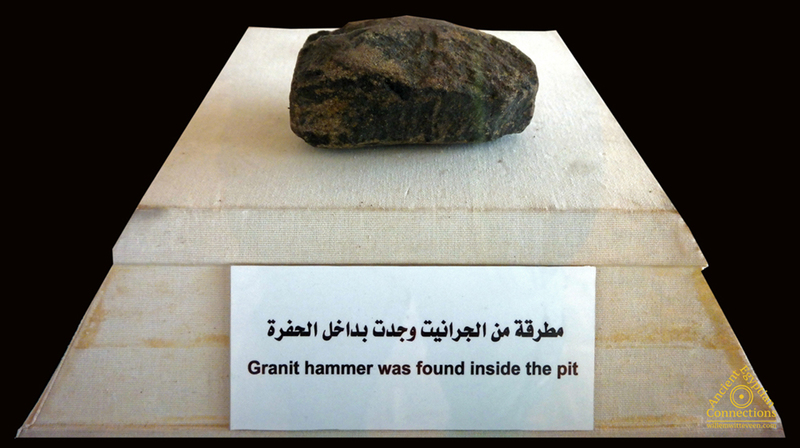 In the Giza Boat Museum, a similar stone in a showcase which is labelled as “Granit hammer was found inside the pit” as if this stone had been used in the construction of the perfectly shaped boat. Until now, this stone is never checked for possible radioactivity since this option has never been considered by the authorities. With a simple Geiger counter, however, no significant radiation could be detected from which we can conclude that this stone is no longer “measurable” and poses no danger to human health. An important characteristic of radioactivity is that the ionising radiation decreases with time; the older the radioactive object, the less radiation is measured. This is expressed by the term “Half-Life” which is the time that it takes the object to lose half of its radioactivity each time and sometimes that can only be noticeable after thousands of years. Nature itself regulates that the radioactivity of certain substances disappears over time because the so-called “unstable elements” will reach a balance whereby the radioactive substance becomes “stable” and no longer emits radiation. 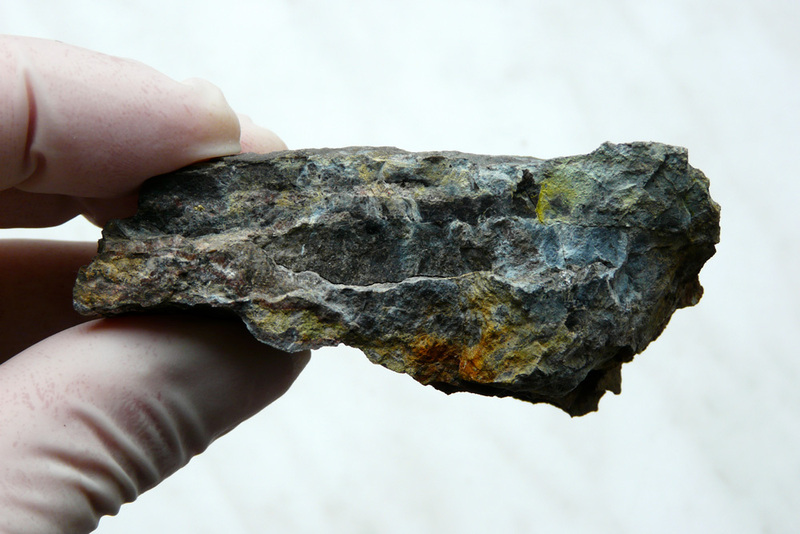 The mineral uraninite UO2 is a uranium oxide mineral and the most important ore of uranium. 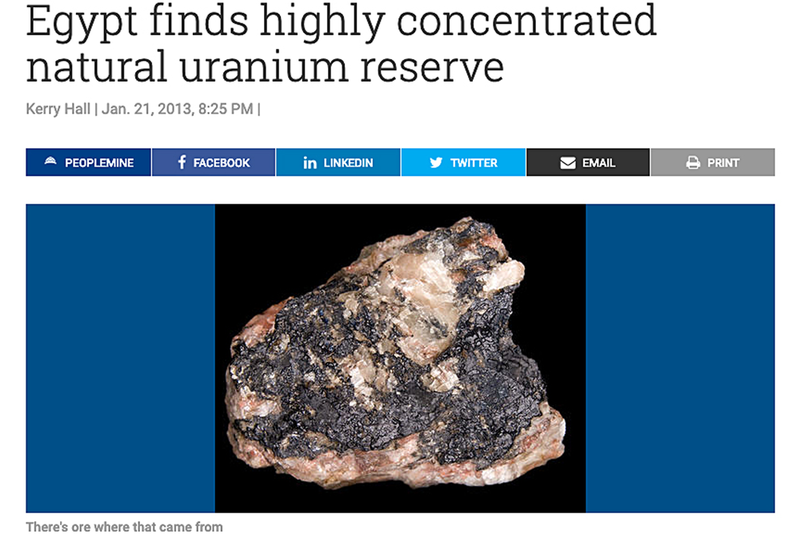 It has a brownish black colour and is highly radioactive. A variety of types of uraninite is called ‘Pitchblende’ which is a combination of uraninite and some other minerals. This mineral is dangerous to humans and is also found in the Egyptian natural environment. In the late 1890s and 1900s, Pitchblende was studied by Pierre and Marie Curie which eventually led to the “Theory of Radioactivity.” The ancient Egyptians were well aware of the properties and dangers of radioactivity in nature and obviously able to use it for the preservation of wooden artifacts as demonstrated by the perfect condition of all the wooden objects displayed in museums worldwide. The airtightness of a tomb or space also played an important role in this, but in an area with floods and possible earthquakes, airtightness may not always be guaranteed. And pests cannot be stopped by airtightness either. 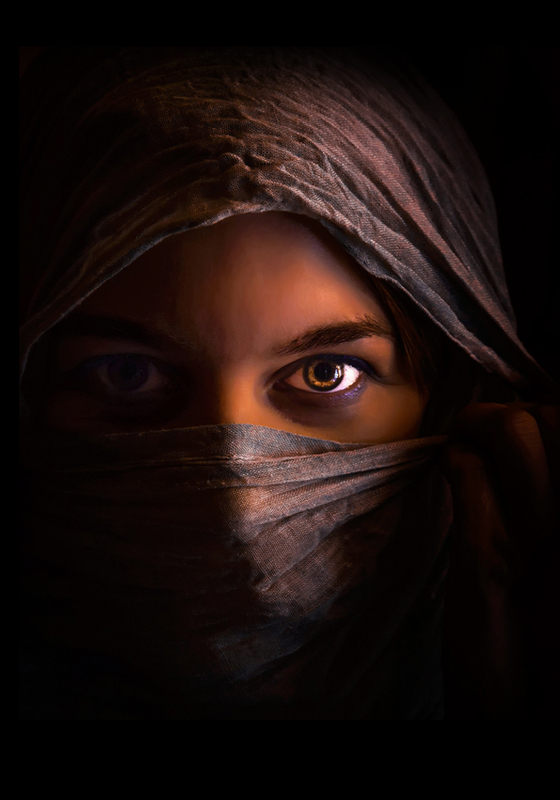 The ancients even used radioactive stones in healing people, called the “Hormesis Effect” in which a low dose of radioactive radiation has a beneficial effect on people’s health that is otherwise toxic or lethal when given at higher doses. This particular method is known as “Radiation Hormesis” but in fact, the treatment of sick or damaged body cells by means of sound resonance is also part of the “Hormesis Effect” in which the frequencies used in both cases are an important part of the Electromagnetic Spectrum. In both cases, there is a vibration in the deceased or damaged body cells, as a result of which the cells are brought back into their original healthy state. In modern scientific health care, extensive research is being done on this special method because of the large number of positive results. Hormesis finds its origin in the ancient Greek word “Hormáein” meaning “to set in motion”, “impel” or “urge on.” Hormesis is relatively unknown to the general public and the existence of Radiation Hormesis is even questioned by regulatory authorities, but unfortunately, this is normal practice in conservative healthcare. Nonetheless, “Resonance Therapy” will become increasingly important in current and future healthcare due to positive results and low costs. 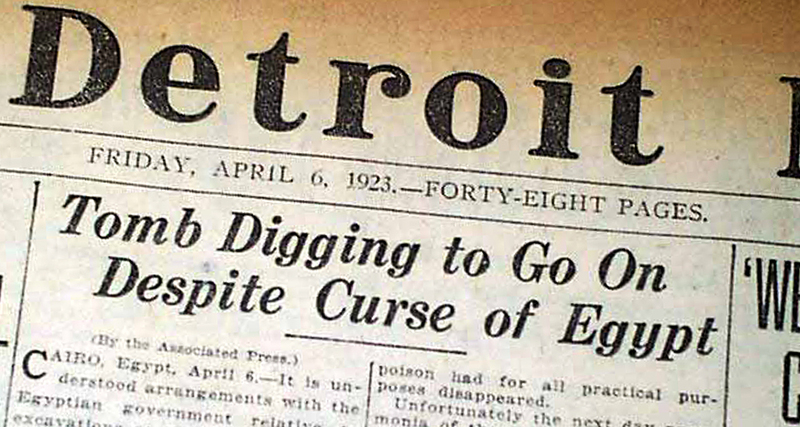 Maybe not as expected and not meant to harm people, but the “Curse of the Pharaoh” could actually still be “alive and kicking.” When entering newly discovered tombs, it may certainly be necessary for archaeologists to test the entire area for the presence of radioactivity due to intentionally deposited natural radioactive stones or radioactive minerals. It is wise to be careful and protect yourself against the risk of ionising radiation. Harmful radiation changes DNA molecules, but most living organisms have the ability to regenerate after being exposed to low doses of radiation. For stronger doses, however, the effects are almost always irreversible and very harmful.